Local non-league side Shaw Lane AFC were handed a mouth-watering tie with Football League opposition Mansfield Town, with Doncaster and Chesterfield drawing East Thurrock United or Ebbsfleet United and Bradford City respectively. 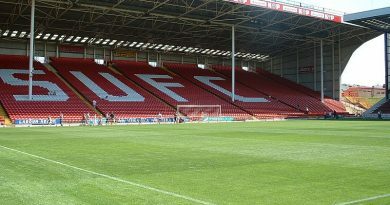 Barnsley based Shaw Lane AFC of the Northern Premier League Premier Division, the seventh tier of English football, have drawn League Two outfit Mansfield Town. The Ducks, who were formed only five years ago in 2012, reached their first game in the first round of the FA Cup by defeating Barrow in the fourth qualifying round on Sunday. The draw marks a meteoric rise at the club after they won the Division One South title last season. Manager, Craig Wood, conveyed his emotions on social media, saying: “Surreal moment watching on TV a football team you’ve created from the very bottom drawn to play a football league side in the FA cup”. Doncaster Rovers find themselves on the other side of a Football League versus non-league bout, drawing either Ebbsfleet United of the National League or East Thurrock United of the National League South, who will face each other tonight. Rovers, who lost 2-1 in the first round of the cup last year against Oldham, will be hoping to better their previous campaign and not fall victim to a shock result. Chesterfield have been drawn a tricky tie away at Bradford City. The Spireites, who linger at the bottom of League Two will be looking to upset the odds against a Bradford side who sit third in League One. All ties will be played on 3rd-6th November. Journalism student at the University of Sheffield, unfortunately from Lincoln.